You will Watch G.I. Joe: A Real American Hero Season 1 Episode 1 online for free episodes with HQ / high quality. Stream cartoons G.I. 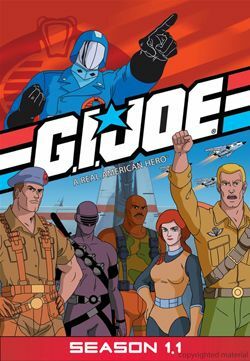 Joe: A Real American Hero Season 1 Episode 1 The Pyramid of Darkness Zartan and the Dreadnoks capture Space Station Delta and destroy G.I. Joe headquarters as phase one of Cobra’s “Pyramid of Darkness”, a plan for Cobra Commander to deprive the world of electricity.